Stevens resurrects Vanessa “Michael” Munroe, her dangerous, androgynous antihero, for another dark adventure. Michael Munroe’s fans know she’s a woman who can pass for a man, but it’s a whole lot more complicated than that: Munroe is an informationist, someone who knows how to find and parse sensitive information. And she’s not simply learning what stock to purchase. Munroe deals in the kinds of information that get people killed. Like her author, Munroe grew up in Africa, and this story takes the reader to areas in and around Djibouti and the Somali coast as she ends up on an arms-laden ship traveling through pirate-infested waters. When the ship is attacked and its international crew fights back, Munroe discovers the attackers are after the ship’s captain. She manages to escape with the injured man and commandeers a stolen boat. Once on shore, she stashes him in a hospital and contacts Amber, the wife of one of the men hired to protect the shipment, and attempts to work out a plan to recover the crew. Though the author never sufficiently explains why Munroe feels so compelled to help Amber, this is a small lapse. 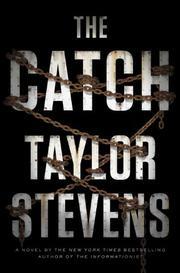 In the hands of any other writer, Stevens’ Munroe might sound a little too Ethan Hunt to wax believable, but she’s not. She's a fierce, even vicious fighter, driven by demons that prevent her from claiming happiness. Fans of the series like that Stevens’ writing takes them to little-known places and offers glimpses into the day-to-day life of the economically developing world. Stevens continues her spare, gritty approach to storytelling, which has made Munroe one of the genre’s most compelling characters, in this latest installment of the haunted heroine’s troubled life. Readers will rejoice that their favorite female menace is back in business.